Socio-Political-Journal... : No SOTU In The People's House! Pelosi Insults The Institution Of Government and It's Citizens. No SOTU In The People's House! Pelosi Insults The Institution Of Government and It's Citizens. 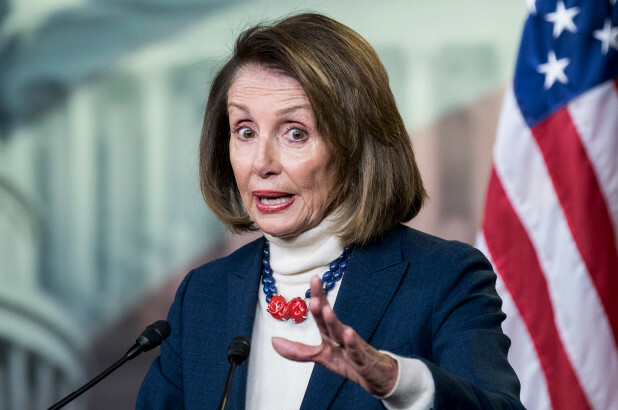 Tired of Pelosi's Truculence? Disposed or eager to fight or engage in hostile opposition! The Democrats are actively Destroying America from within. House Speaker Nancy Pelosi on Wednesday flatly rejected President Trump’s acceptance of her initial invitation to deliver his State of the Union address to Congress. “I am writing to inform you that the House of Representatives will not consider a concurrent resolution authorizing the President’s State of the Union address in the House chamber until government has opened,” the speaker wrote as the brinkmanship between House Democrats and the White House continued to escalate.